The Han Solo story would take place in the time period between Revenge of the Sith and the first Star Wars (now known as A New Hope), so although it's possible Harrison Ford could appear as a framing device, the movie would require a new actor for the lead — one presumably much younger than even the 35-year-old Ford when he appeared in the 1977 original. 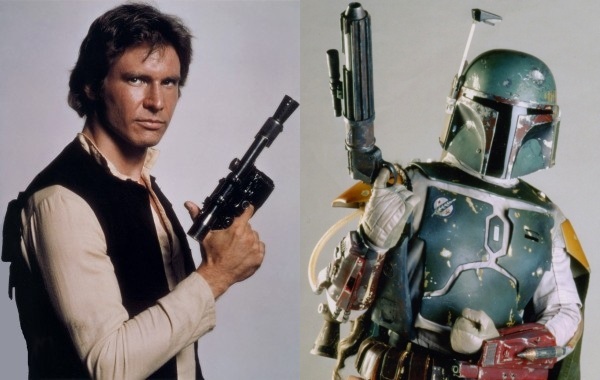 The Boba Fett film would take place either between A New Hope and The Empire Strikes Back, or between Empire and Jedi, where the bounty hunter was last seen plunging unceremoniously into a sarlacc pit. Exactly who would play him isn't much of a complication – in the original trilogy, he never took off his helmet. And in the prequels, we learned he was the son of the original stormtrooper clone, played by Temuera Morrison, who's still the right age for the part if his services were required. May the Force be with you, Disney!